Born in Michigan in 1869, James David Corrothers became an important literary figure in the 1890s. Corrothers grew up in South Haven, a southern Michigan town established by abolitionists, fugitive slaves, and free blacks during the years before the civil war. For a time he was the only African American child in the town who attended public school on a regular basis and he often recalled confrontations with fellow white students. Corrothers was raised by his grandfather. He and his grandfather moved to Muskegon when Corrothers was fourteen where he worked odd jobs to support the two of them. When his grandfather died two years later in 1885 Corrothers moved to Indiana and then Springfield, Ohio. He waited tables, worked as a lumberjack and for a time as an amateur boxer all by his 18th birthday. Corrothers moved to Chicago in 1887 where he met journalist-reformer Henry Demarest Lloyd. After reading some of Corrothers’s poetry, Lloyd persuaded the Chicago Tribune to hire the young writer. Corrothers eventually received an assignment to write on Chicago’s black upper class. When the article he submitted was rewritten by a white reporter in black “dialect,” Corrothers quit the paper in protest. With support from temperance leader Francis Willard and Lloyd, Corrothers entered Northwestern University in 1890. Although he left before earning a degree, Corrothers was now sought by the major Chicago daily newspapers. Corrothers also returned to writing poetry. Noting the success of Paul Lawrence Dunbar, Corrothers decided to publish his own stories and poems in dialect. He collected his most important poems and articles and published them in a 1902 anthology called The Black Cat Club which established him as a major literary figure. Despite his success in the literary world, Corrothers entered the ministry, working successively in the African Methodist Episcopal (AME), Baptist and Presbyterian churches. Corrothers was also married twice. He and his first wife had two sons before she died in 1894. In 1901, Corrothers wrote The Snapping of the Bow, the first of a series of major works in standard English that pursued the theme of racial protest. His At the Closed Gate of Justice (1913), for example, profiled the growing racial intolerance in the United States. In 1916 he wrote In Spite of the Handicap, an autobiography which described his life and why he used his literary talents to challenge racial discrimination. 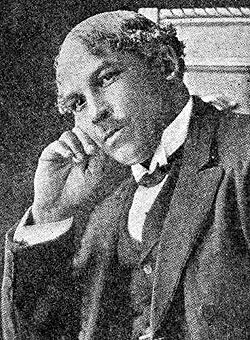 By the time of his death in 1917, James David Corrothers was considered one of the leading African American literary figures in the nation. Although he did not live to see the Harlem Renaissance, much of the protest literature that emerged from that era was certainly influenced by his writings. Kevin K. Gaines, Uplifting The Race: Black Leadership, Politics, and Culture in The Twentieth Century (Chapel Hill: University of North Carolina Press, 1996); Dickson D. Bruce, Jr., Black American Writing from the Nadir: The Evolution of a Literary Tradition, 1877–1915 (Baton Rouge: Louisiana State University, 1989).